A progressive power metal masterpiece. 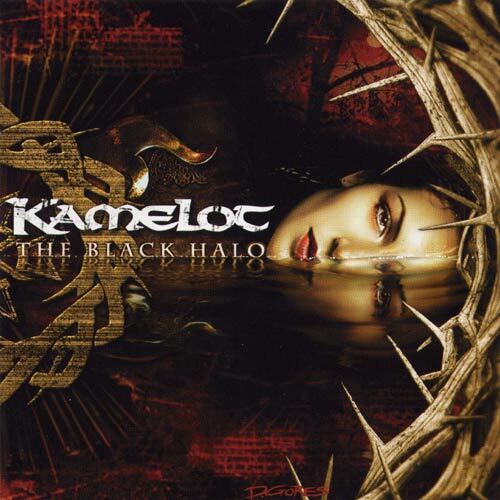 The Black Halo is Kamelot’s best work so far. This album is actually a continuation of Epica, the second as well as the final part of the story. This album really blows, there’s no weak track, and each song will likely grow on you with each listening. Kamelot are probably among the best bands which successfully combines power metal with progressive elements. ‘March of Mephisto’: Rather than an orchestral track as an opening like what they’ve done in their previous works, this time they give a full track as an opening. This song brings straight the dark atmosphere of the album, especially with the growling vocals from Shagrath from Dimmu Borgir. ‘When the Lights are Down’: This track kicks out with some speedy riffs, as a representative of Kamelot’s power metal side, great track. ‘The Haunting’ is likely a track that will catch you straight forward. The melody is great, as well as the vocals by Simone Simons from Epica. This song and ‘March of Mephisto’ are among the more popular tracks, as they have video clips, something that just started only since this album. ‘Soul Society’: Started, with medium tempo, the track then build up and become faster in the chorus. This is the track that will likely grow on each listening, if not catches you on the first listening. ‘Interlude I: Dei Gratia’: Some singing in Italian phrase, which followed by ‘Abandoned’, which is really a beautiful track. Great melody and emotional singing by Khan as well. Female vocal sung by Mari, which also sing in the album ‘Epica’. ‘This Pain’: Another great track that will catch you on the first listening or keep will be growing on each listening. Highlights on this track are on the chorus parts. ‘Moonlight’: This track has a nice opening part, quite a catchy tune, and a great melody in the middle, as well as nice guitar solo. ‘Interlude II: Un Assassino Molto Silenzioso’: Female singing in Italian, with some nice tunes. ‘The Black Halo’ is a great track. It blows with some heavy riffs, great chorus, and nice melody. ‘Nothing Ever Dies’ follows up the previous track very well. This one goes a bit faster and heavier, with some cool riffs. ‘Memento Mori’: An awesome track! This one start slowly with a nice piano melody and nice vocal by Khan. It then builds up to a speedy and quite heavy track with great melody, guitar solos and cool drumming. Shagrath and Mari made a guest appearance in the middle part of the song. Then the songs ended nicely with some piano and beautiful vocal. This is likely a track that will blow you every time you listen to it. ‘Interlude III: Midnight - Twelve Tolls for a New Day’: This track like a mix of what happens before, some sort of flash of the past, which followed up by some speech. The ending track, ‘Serenade’ closes the story and the album nicely. This is a speedy track, with some high tunes and nice melody. Overall, this is a masterpiece of progressive power metal. I’m completely blown away with this album. It’s like, after the first listening you can’t get it off from your head. A must have for prog metal fans, highly recommended.